The Third Annual Accounting Careers Expo was held at Mammel Hall on January 25, 2019. 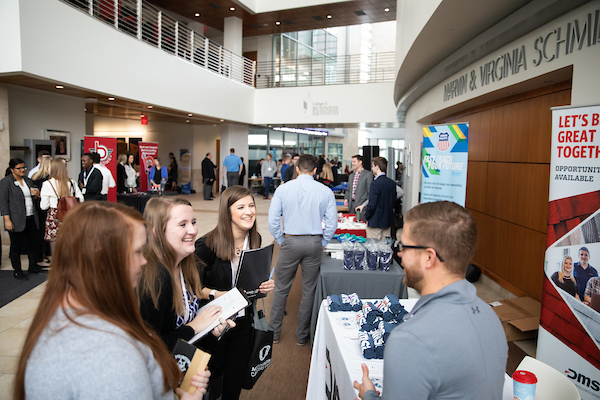 The 2019 Accounting Careers Expo welcomed nearly 110 students and 44 business exhibitors to Mammel Hall. The event was open to UNO students, local high schools, and community colleges and aimed to answer questions about the accounting profession while offering networking opportunities. 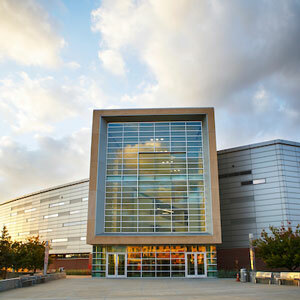 The half-day conference also offered career path exploration, Q&A, workshops, and prizes for student participants. With local businesses in attendance, including First National Bank, TD Ameritrade, and WoodmenLife, the event achieved its goal of showcasing accounting career opportunities in the Omaha metro. The expo was also effective at providing students with personal and professional insight into the accounting profession. Students attending the expo are meant to leave with a better understanding of what an accounting career looks like so they can better gauge if it is an area they will continue to pursue. Comments from the 2018 exposition praised the event for being an enlightening experience for potential and current accounting students, and this year proved equally successful. Poyzer looks forward to compiling this year’s comments and offering continued opportunities for accounting students to gain insight into accounting, potential careers, and themselves. Poyzer would also like to thank the CBA’s Accounting Corporate Partners (recognized below) for making this event free for all participants. The Accounting program is now looking forward to its next event, a Power Lunch on February 26 in which students interact with local accounting professionals and learn about accounting careers in specialized industries.